The United States has embraced clean technology relatively aggressively, but is it enough? In particular, is it enough in comparison to the pace of clean tech development in China? I addressed this topic September 28 at the AlwaysOn GoingGreen 2011 conference, and the answer is that the U.S. isn’t doing enough. China is much more aggressive than the United States in developing clean technology projects and could dominate clean technology development globally for many years to come. Consider, for example, the stark contrast between the construction of the hydroelectric Three Gorges Dam spanning China’s Yangtze River with the development in the U.S. of the Ivanpah photovoltaic solar energy plant in the Mojave Desert. 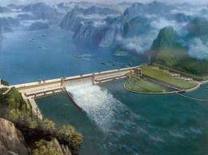 China relocated 1.3 million people to make way for the dam, the world’s largest power system. By contrast, the Obama administration stopped BrightSource Energy’s development of the Ivanpah plant, a far smaller project, for months this year because of concerns it endangered the protected desert tortoise, an issue already fully dealt with in the officially approved environmental impact statement. Given this, you have to wonder how serious the United States is overall about developing clean energy. We are certainly not serious about it in comparison to China. China has reasons to be hyper-ambitious. It was the world’s preeminent cultural, economic and military force in the world for 2,000 years and wants to regain that glory, which could come at the expense of the United States. China also needs to aggressively develop clean energy and other forms of energy to satisfy its soaring energy consumption. China uses three times more coal than the United States, but its goal is to reduce fossil fuel consumption as much as possible. While the odds today favor China, the race for clean technology supremacy is not over. The United States is very entrepreneurial and has a fierce desire to create new and better technology, including clean technology. 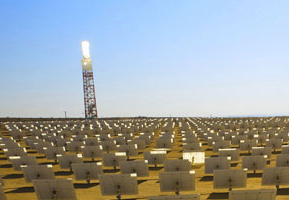 In addition, the United States actually benefits from low-cost Chinese solar panels, which allows it to more easily accomplish alternative energy goals. Still, the U.S. needs to do more to pace, let alone beat, the Chinese. U.S. clean technology development must be enhanced by streamlined regulations and permitting, continued tax incentives and by much easier immigration policies for foreign graduates from American universities. This would allow more engineering and sciences graduates to stay in the United States after graduation and contribute to American technological innovation. Fukushima and the 32nd anniversary of Three Mile Island What is an Assault Weapon?